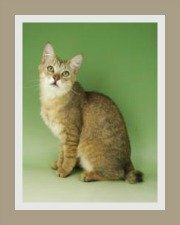 Savannah cats are hybrid cat breeds - a cross between domestic cats (the Ocicat, Egyptian Mau or Oriental Shorthair) and the wild African Serval Cat. 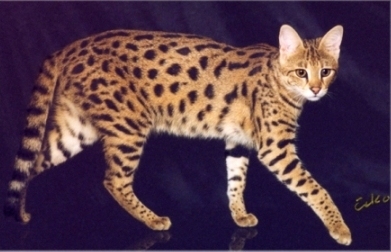 It resembles the Serval cat, but is slightly smaller. In 1986, Judee Frank, a Bengal cat breeder, crossed a domestic cat and a male Serval cat belonging to Suzi Woods. The result of this union was a kitten that carried the unusual traits of both parent cats. The kitten was named Savannah. 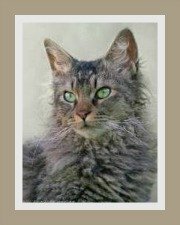 Patrick Kelly and Joyce Sroufe were so taken by this cat, that they took a decision in 1989 to further develop a new feline that was aptly named the Savannah. Kelly and Sroufe are credited for writing the breed standard which was presented to TICA (The International Cass Association) in 1996. It took another four years for the breed to be recognized in the Advanced New Breed category and a further 11 years to be granted championship status. This was granted in 2012. 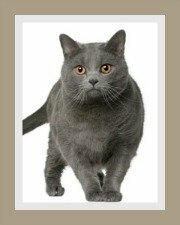 It would appear that there is still some controversy or resistance surrounding this cat breed as the CFA (Cat Fanciers' Association - USA), FiFe ( Fédération Internationale Féline - France), and the GCCF (Governing Council of the Cat Fancy - UK) do not recognize the breed. As far as we are aware, importation of Savannahs into Australia is banned by the Australian Federal Government. Savannah cat ownership differs from state to state in the United States. 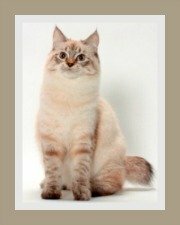 Some states view these hybrid cat breeds as domestic cats with no restriction on ownership, whilst other states prohibit them entirely. We suggest you contact the relevant authorities to confirm what by-laws exist in your state. In the United Kingdom for example, ownership of a first generation F1 Savannah, requires a licence and the cat must be kept in an outdoor enclosure. The law on the ownership of F2 to F5 are less stringent and these cats are permitted as domestic house cats under the Dangerous Wild Animals Act. 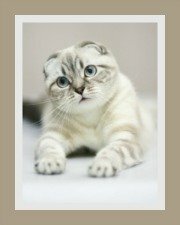 As legislation changes from time-to-time, we would suggest that you establish the status in your area of residence before purchasing your cat. Many people are opposed to keeping wild cats in captivity. There are even more opposed to breeding wild cats to domestic cats. Apart from 'ethical' reasons, there is a concern about the genetic implication with hybrid Savannahs. The Serval cat is a wild cat native to Sub-Saharan Africa. Despite what you may be told, the Serval IS a wild cat and whilst many Servals have been domesticated, it is a wild cat closely related to the Cheetah and Caracal. 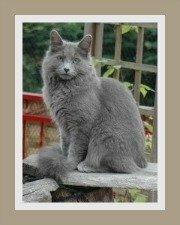 It is a medium sized cat with a slender build, very long legs and relatively short tail. The head is small in relation to its size and it has large, oval ears that are closely set. 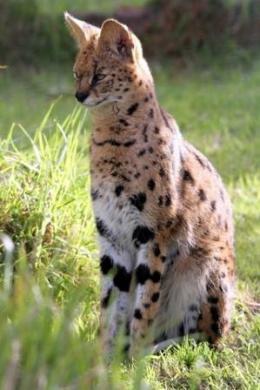 The Serval's coat is golden-yellow, with large irregular black spots on the body and distinctive stripes that run from the head and neck and down the sides and then transition into spots. Serval cats are largely solitary and nocturnal cats. They feed on smaller prey such as birds, rodents, rabbits, fish and insects, but have been known to hunt smaller buck. They are excellent hunters who are known for their speed, agility and for leaping into the air to catch prey. Their preferred habitat is the African savannah - which is tall grassland. The Serval communicates via grunts, hisses, growls and high-pitched chirps. The number of Serval cats in the wild is under threat, as their habitat is been exploited by man. Lion, leopard, crocodile and man remain their predominant enemies. 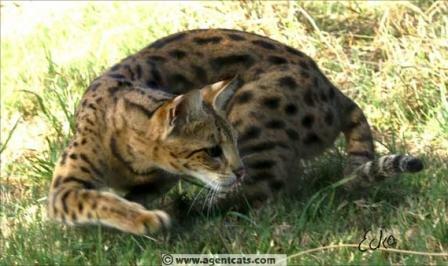 In many countries they are on the list of 'threatened species' and as such are protected cats in many parts of Africa.